The Old Dixie Highway was one of the earliest highways in the US, whose success inspired the massive expansion and renovation of America’s roadways. In partnership with the Good Roads Movement, advocates for the Old Dixie Highway fought for cleaner, smoother, and longer roads to crisscross the country. While the highway itself was short-lived, the space it created for the evolution of American transportation lives on today. Building the Old Dixie Highway helped ease the tenuous relationship between the North and South, made long distance travel feasible to anyone with a car, and helped build up communities in rural areas. In 1914, a millionaire from Indianapolis by the name of Carl Graham Fisher proposed the idea of a route that would connect the American Midwestern and Southern states. The plan was ambitious, but Fisher knew constructing the route was necessary for the success of his newly established city, Miami Beach, Florida. He wanted there to be an easy route into the city, hoping the prospect of work and wealth would lure people from the North there and throughout Florida. The lack of North-South long-distance roads wasn’t the only trouble facing drivers. Current roadways were in disrepair - potholes made traversing the roads tedious and sometimes dangerous, and they were easily made impassable after a heavy rain. They served primarily as links between small towns and the nearest railroad stop. These roads had no signs, making navigation a challenge, and often drivers would find themselves lost in places where the road branched out toward rural farms. Around this same time, Henry Ford’s Model-T, commonly referred to as the “Tin Lizzie,” was gaining popularity. Ford’s invention changed the face of transportation across the country, and for the first time working class Americans could afford to purchase the vehicle. With automobiles on the rise, people needed good, reliable roads. This sparked the Good Roads Movement, an effort by citizens to address the decrepit roadways. The most successful project of the Good Roads Movement was the Lincoln Highway - the nation’s first East-West highway and Fisher’s inspiration for the Old Dixie Highway. He was awed by how quickly it invited people from larger cities to branch out into more rural areas and hoped the Dixie Highway would bear similar results. 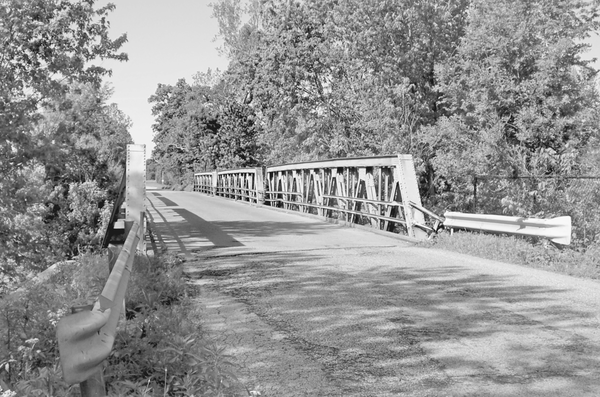 Fisher was aware of the need for better and further-reaching roads, and after witnessing the success of the Lincoln Highway, there was nothing to stop the Old Dixie Highway from being constructed. He easily gained the support of local businessmen, state officials, and those in the auto industry, and in 1915 Fisher met with the governors of states interested in the route. 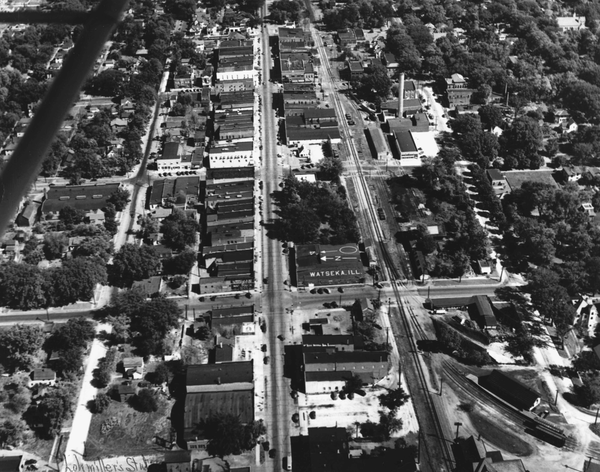 Together, they laid out the framework for what would become the Old Dixie Highway. Early plans had the route stretching from Chicago, Illinois to Miami, Florida, meeting every major city in between. It was decided that constructing and maintaining the roadway would be the responsibility of states and communities along the route. The Dixie Highway Association was formed to oversee the project, and initial funding came from wealthy private donors. Early decision makers named the road the Cotton Belt Route, but this was changed to Old Dixie Highway in 1915. The name changed as part of an effort to design a more exotic and pleasant image of the South. Referring to the highway as “Old Dixie” imbued feelings of nostalgia, and helped paint a picture of the American South as a place with beautiful scenery and attractive cities and sites. Establishing this model of the South turned out to be a crucial part of the highway’s overall development. As an experienced entrepreneur, Fisher knew that to gain the much-needed financial support of the federal government, he needed to convince the residents who would be most impacted by the route that their communities would reap immense benefits from the project. But this was easier said than done. Tensions between the North and South were still present - wounds from the Civil War had yet to heal completely, and there were minor amounts of distrust on both sides. To people in the North, Fisher pitched an image of the South that was warm and inviting. His strategy included creating and mass distributing brochures that depicted a tropical oasis. In the South, Fisher was faced with a different type of challenge. Residents in these states accused the highway as being a project for the upper class. They were concerned that wealthy Northerners would enter the South and disrupt their way of life. Fisher’s counter argument was that the highway would not ruin a Southern lifestyle but enhance it by inviting people from the North to tour the Southern states. He claimed that increasing the flow of traffic would simultaneously increase the amount of money coming through areas along the route. In the end, Fisher was successful, and in late 1915 construction of the highway began. Original plans set the route straight down to Florida, then along the Atlantic coastline to Miami. As construction began, a prominent lobbyist group, the Central Florida Highway Association, decided they wanted in. They advocated for a western route that would run down the Gulf Coast and enter Miami from the west. At this point, the construction was almost fully funded by the federal government. It was because of this that Fisher agreed to split the route in order to serve more communities. The route connecting Sault Ste. Marie, Michigan with Miami became known as the western route. The eastern route connected Chicago to Miami, and ran down the eastern half of the country through Ohio, Kentucky, and Georgia. Two East-West cross roads were added to connect the two North-South routes. 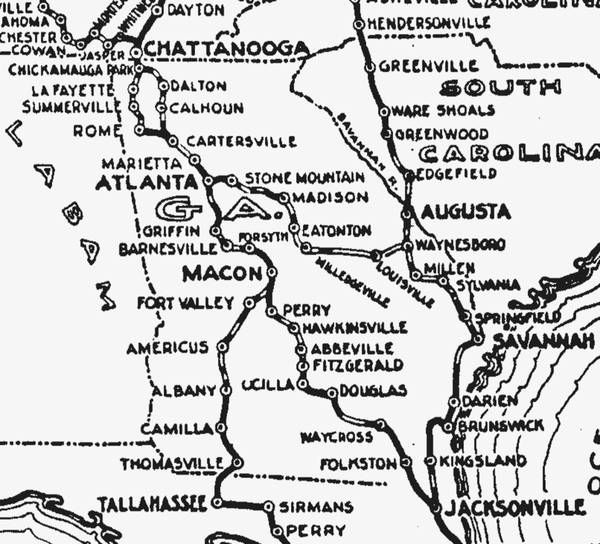 The central route was a small cutoff between Macon, Georgia and Jacksonville, Florida, and the Carolina route connected Knoxville, Tennessee and Waynesboro, Georgia. Almost, immediately small towns and cities along the route began experiencing the benefits of the highway. Oil and gas companies expanded their reach by building gas stations in key stops along the highway, and business owners also leaped at the opportunity, constructing inns and restaurants along the route to serve travelers. In Georgia, cities situated on the highway promoted remains of the Civil War to tourists as attractions to visit. Through the 1920s, states received more and more funding for their building efforts. By 1927, the federal government took over the route entirely with the creation of the US highway system. By the late 1920s, state and federal markers began to replace the Old Dixie Highway markers, and the Good Roads Movement, having sparked the initiative they campaigned for, was disbanded. Much of what was the Old Dixie Highway was later adopted into the national highway system. Today, virtually all the Old Dixie Highway has been renamed or rerouted. Much of the Eastern route and all the Carolina route became U.S. Highway 25. The route between Chicago and Miami was renamed Interstate 75. A portion running between Nashville, Tennessee and Louisville, Kentucky is today’s U.S. Highway 31W, though in many parts of Kentucky the route still bears the name “Dixie Highway” or “Dixie Avenue.” The name persists in some locations, but most central long-distance routes were reorganized into more modern highways. What remains of the Old Dixie Highway are mostly local roads. Together with the Lincoln Highway, the Old Dixie Highway helped set forth a nationwide movement for the improvement of roads. In being the first major North-South highway, the Dixie Highway helped to mend deep-seated distrust between the North and the South and made traveling long distances possible for almost everyone. While it’s time as the Old Dixie Highway was relatively short lived, its legacy lives on, signifying a pivotal moment in American history.